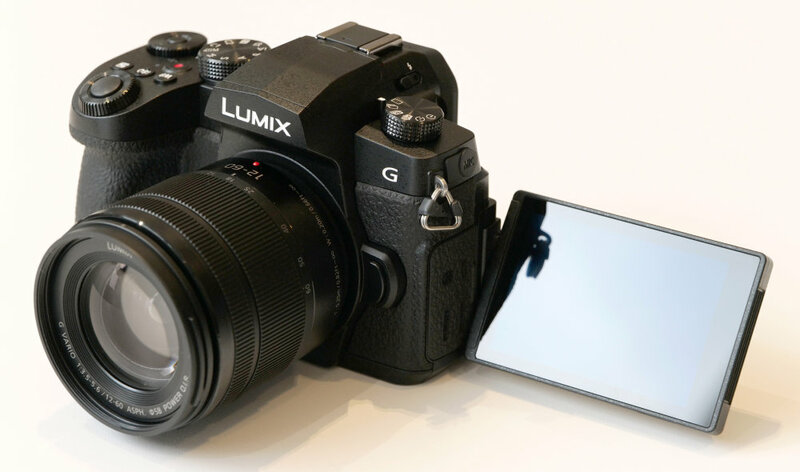 Panasonic’s new Lumix G90, updates the G80, with a new 20mp sensor, unlimited video recording, an updated design, and larger electronic viewfinder, as well as a number of other improvements. The G90 will be available for £899 body only, and is known as the G91, G95, and G99 depending on your location. 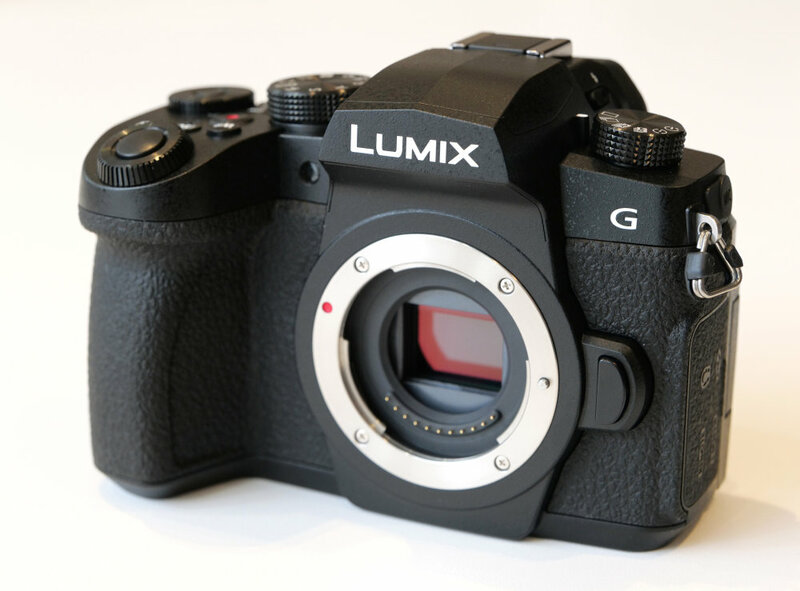 The Panasonic Lumix G90 features a 20mp Micro Four Thirds sensor, which is said to give the same image quality as the Lumix G9, but without the same high-speed continuous shooting offered. There is no optical low-pass filter, which means images should capture high levels of detail. The Panasonic Lumix G80 will remain available on the market. 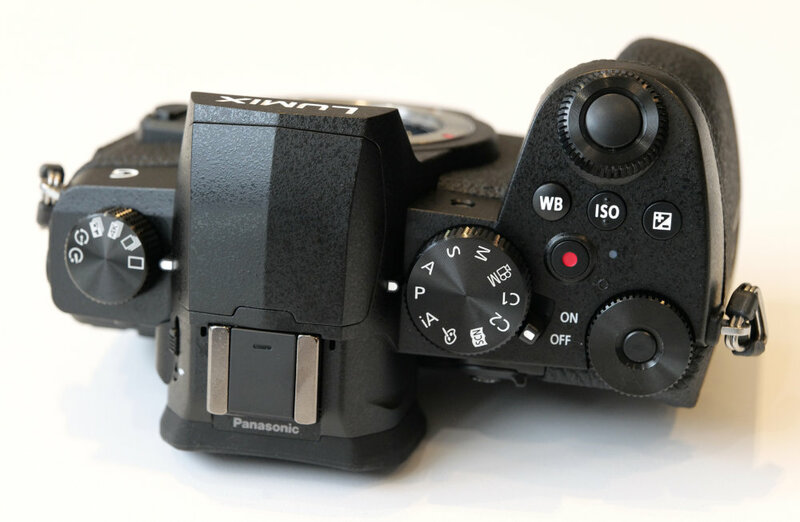 Panasonic say the G90 uses a new sensor, which is “not the same sensor as the G9” as it’s not as fast as the G9, but Panasonic has suggested that the image quality will be the same. Dual IS. 2. - The camera has built-in sensor shift image stabilisation, which can work in combination with a lens with optical image stabilisation, giving up to 5 stops of image stabilisation. There are multiple shooting modes, with P, A, S, M, iAuto, Scene modes, Creative Effects, as well as 4K photo, for 30fps continuous shooting, and 8mp images. You can shoot full resolution images at 9fps with fixed focus or up to 6fps with continuous AF. AF speeds are said to be 0.07seconds, and Panasonic use Depth-from-defocus (DFD) technology, with contrast detection focus. There’s a new Live Composite mode, accessible in manual shooting mode, that lets you take photos and watch the exposure on-screen as you’re taking the photo. This is particularly useful for low-light, and long exposure photography. There’s a 2360K dot OLED electronic viewfinder (EVF), with 0.74x magnification, eye-detection and dioptre correction. The 3inch vari-angle touch-screen on the back features a resolution of 1040K dots, and is also an OLED display. The camera body is weather sealed, with a magnesium alloy construction. 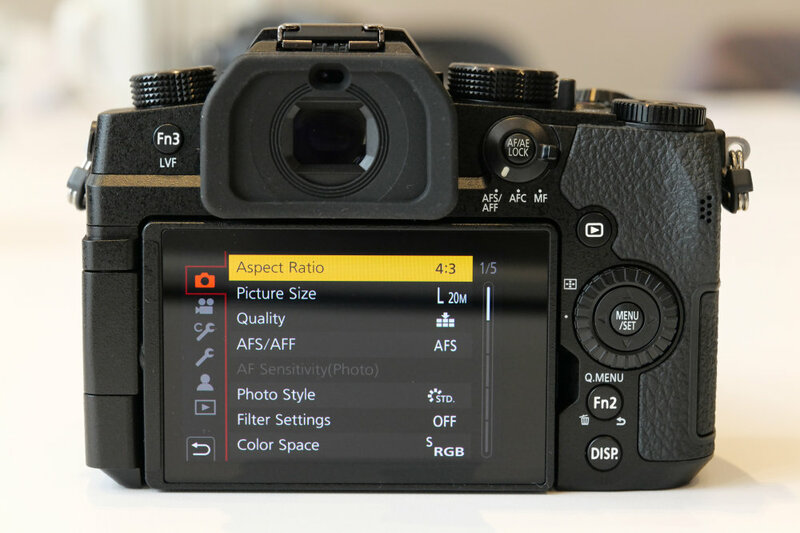 The updated design of the camera gives quicker access to WB, ISO and exposure compensation with dedicated buttons on the top. 4K UHD video recording can be set to 30, 25, or 24fps, and is unlimited, meaning there is no longer a 29minute limit to the video recording time. There’s also microphone and headphone sockets on the side, as well as MicroUSB charging/power. For those interested in high dynamic range, and grading video, the camera includes V-Log-L built-in. There is normally an additional charge for this on Panasonic’s cameras. With V-Log-L built-in the G90 is the cheapest camera available with this included. This gives up to 12 stops of dynamic range, and is said to have a similar characteristic curve to “Cineon”. Designed for “serious” vloggers, whilst professional videographers may want to look at the GH5 series for 4:2:2 10bit. You can customise the AF speed for when you’re recording video. Wi-Fi and low-power Bluetooth are built-in, giving a remote shutter (Bluetooth), plus easy remote control (over Wi-Fi), and the ability to automatically transfer images. Auto white balance (AWB) has been updated with AWBW (Warm) which is new to the G series, and joins AWBC (Cool), and standard AWB. These can be found on the Panasonic Lumix S1/S1R. There are a number of different colour settings, each customisable, including L. Monochrome D, and Grain Effect which can be applied to any monochrome shooting mode. (Available for G9 with firmware update). Highlight/shadow adjustment is available while shooting. In playback you can access Raw editing, which is built-in, plus “Easy retouch” which lets you erase unwanted objects in an image, in the camera, without having to edit it on a smartphone or computer. 4K Photo – now offers auto marking, so that it can highlight what it thinks are the best photos. It will detect faces, as well as motion / action. Another feature of 4K photo is sequence composition, letting you combine multiple images into one action shot. 4K Photo / Focus stacking, plus post focus is available, letting you change the focus point after shooting. 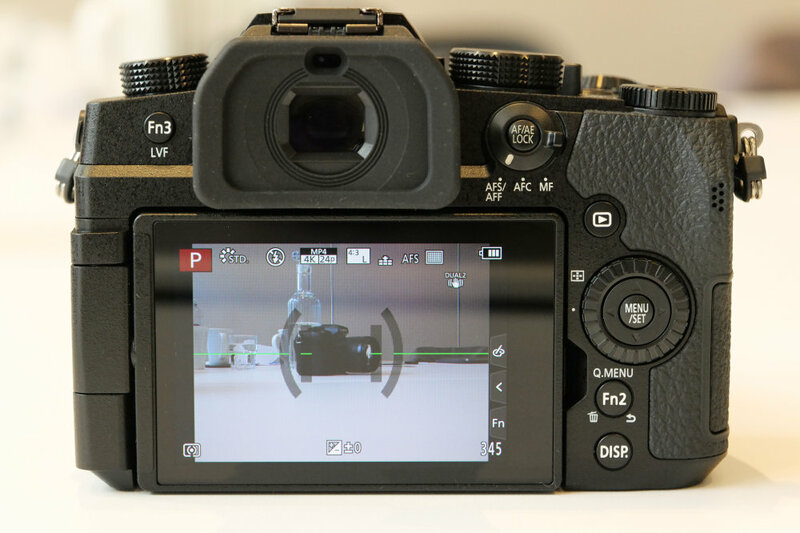 There’s an electromagnetic driven shutter (smaller, quieter, less shutter shock), and the camera gives you the choice of using a mechanical or electronic shutter. The Lumix G90 offers ergonomics that are designed to allow one handed use, with quick access to WB, ISO, Exposure compensation with buttons on top of the camera. There are front and rear dials, which can be customised. The top, rear dial has a middle function button that can also be customised. There are a number of customisable function buttons in fact, with further customisable buttons on screen available. Two custom modes can be found on the top mode dial. Under the scene modes you’ll also find a panoramic shooting mode. There's a rear scroll wheel, making is easy to adjust settings. There's a side memory card slot, which takes UHS-II SD cards. Side sockets include mic, headphone, remote, HDMI, and MicroUSB. 0.74x magnification gives a good view of the electronic viewfinder (EVF), and the resolution of 2360K is good. There’s eye detection so that the camera will automatically switch between the screen and the EVF. There’s also dioptre correction on the side. The rubber surround is large and soft giving a comfortable viewing experience when holding it up to your eye. The screen looks good, with a 3inch display and a 1040K dot resolution. The screen is responsive to the touch, and the touch-screen can be used to quickly set the focus point. A dual-axis electronic level can be displayed on the screen. The camera body feels well built, with a magnesium alloy and plastic construction, and the buttons are a generous size. The top buttons feature an ergonomic design, to make it easier to feel which button is which, with the ISO button featuring two raised dots. The menus are not the same as the updated menus found on the S1/S1R, but still offer an easy to use system, with built-in help. The Quick Menu, accessible by pressing the Q. Menu button, gives quick access to settings on the rear screen. The G90 weighs 533g with battery and SD card body only, which is not much more than the G80, which weighs 505g. The battery life is said to be 290 shots, which is quite short, although this can be extended to 1000 shots with power saving switched on. You can also power the camera using the MicroUSB connection. The camera is slightly larger at 130.4x93.5x77.4mm. We'll be adding more to this when we get to spend more time with the camera. You can look at other options, in our Top 20 Best Premium Mirrorless Cameras list. 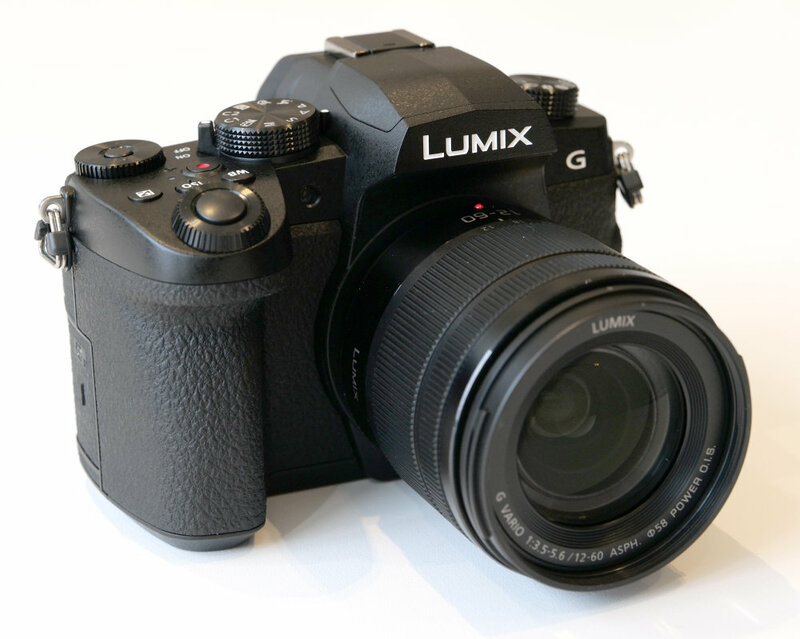 The Panasonic Lumix G90 offers a compelling set of features, combined with excellent handling, and a weather sealed magnesium alloy body. 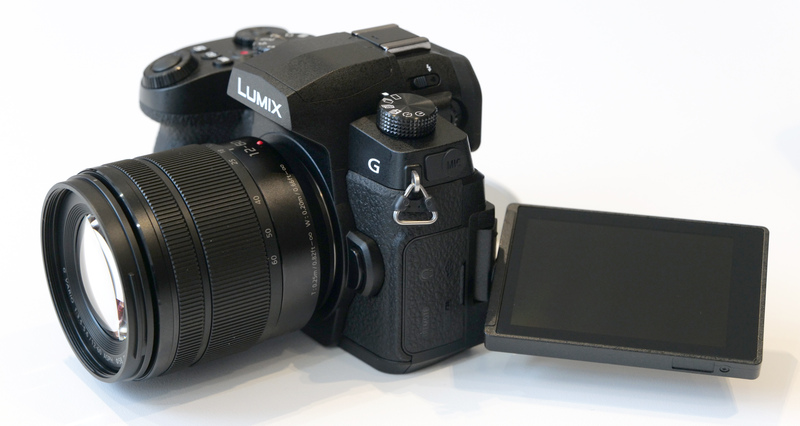 In camera image stabilisation should result in sharp photos, and using the Micro Four Thirds system means there’s an abundance of lenses available, both compact and professional. Whilst the battery life is a little short, we’re yet to try the power saving mode to see if this can really offer 1000 shots. If it can, then this could be a great mid-range camera, and once we have one in for a full review we’ll be sure to give you the results.